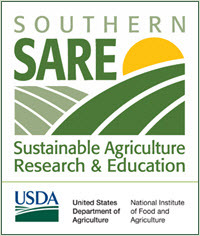 This Soil Health For Sustainable Agriculture module is part of the Biomass Energy Training Curriculum, 13 modules developed through a Southern SARE grant and collaboration between Tennessee State University, the University of Tennessee, eXtension.org, and USDA-Rural Development. While it is written as a training guide for TN producers, much of the information is applicable throughout the Southeastern US region. Learning objectives: Participants will be able to identify different types of field indicators for soil health assessment, perform different soil health assessments in the field, identify laboratory analyses for further testing, and identify solutions for different adverse soil health factors.